Join us for Career Development Theory, Models, and Practices. This is an intensive 4-week online course. The Career Development Theory, Models, and Practices Course (CDP-02) offers the foundation for the work we do in our career practice. 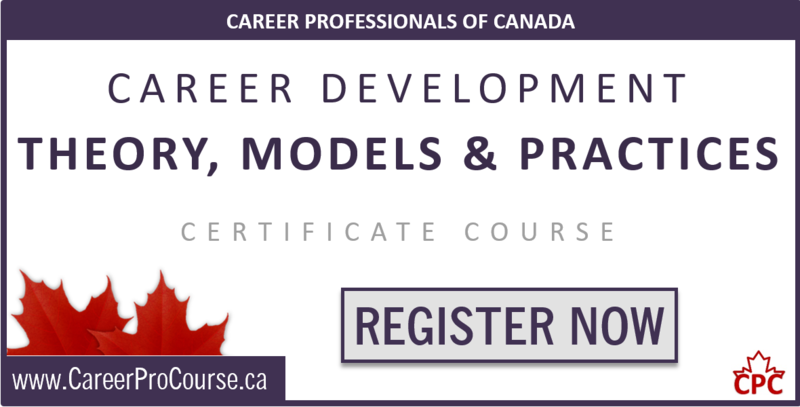 You’ll explore a wide range of existing and emerging theories and models, which form the basis of current practice of the Career Development profession in Canada. You will build a critical mass of knowledge and skill as a foundation on which to base your practice. This is a fully-facilitated, part-time 4-week online course. Demonstrate a personal commitment to lifelong learning and ongoing professional development. Earn 40 hours towards any Continuing Education Units (CEUs) you require. 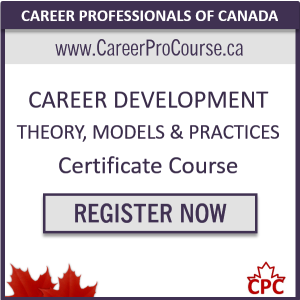 Complete the THEORY requirement for your provincial Certified Career Development Practitioner / Professional (CCDP) Certification. Work towards your the Certified Career Strategist (CCS) credential.